I just came back from a 5-day Day Skipper practical course. What a week! While this was not something that was absolutely necessary for me to do at this precise moment, it fulfilled several purposes: Firstly, I would do some sailing which I haven't done for quite a while now since my boat has been on the hard. 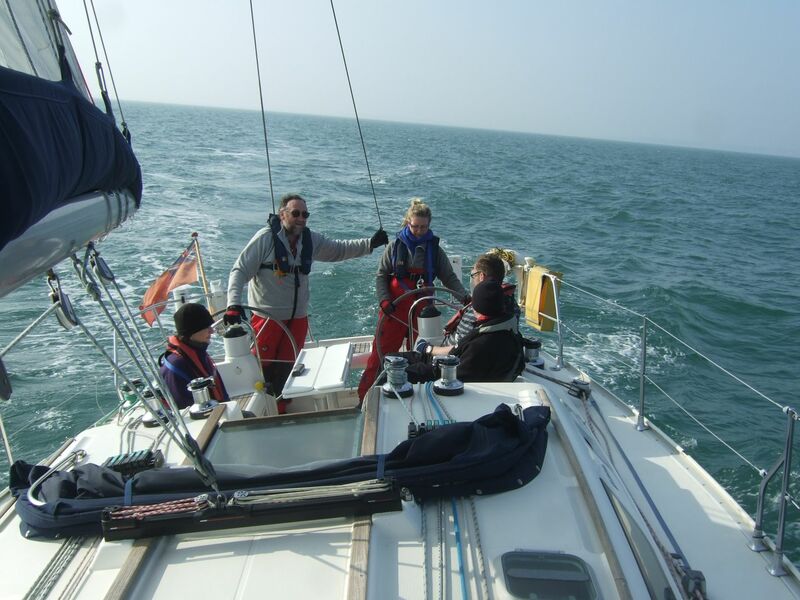 Secondly, I would gain a lot of experience and knowledge on several aspects of sailing and thirdly I can now charter a boat anywhere in the world! The boat, Wild Spirit, is a Jeanneau Sun Odyssey 40. It is very well equipped and maintained and provided a great living environment for the 6 people on board for 5 days. The on-board shower is a luxury that comes in very handy when the marina facilities are quite far away. The course itself, was really exciting, entertaining and educational at the same time. I was the only one doing the Day Skipper course and initially I was slightly concerned about this as I was not sure that I would get the most out of it since a significant amount of time would have to be spent on basic competent crew skills that 3 of the crew members had signed-up for. And there was one more person that had already done a DS course but wanted to gain more experience. 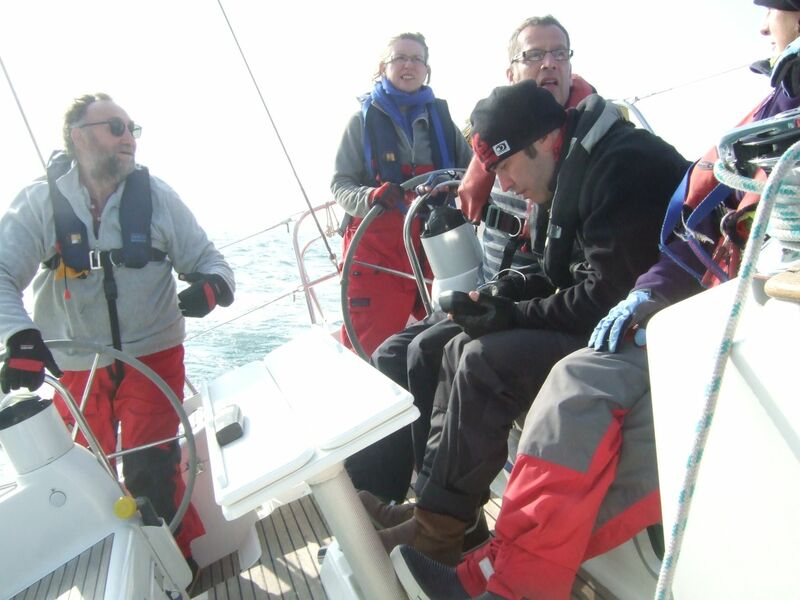 All of the people on board had some sailing experience but not necessarily as active crew members. In the end, the mixture of skills worked out quite well and I had the opportunity to remember some of the basic skills while also building up on new skills. 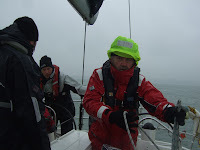 It was also quite interesting to work with people with little sailing experience as this is often a situation that a skipper may have to deal with. I really enjoyed the 67-mile non-stop passage from Gosport to Poole going clockwise round the Isle of White. I think that such a long passage is quite unusual for this type of course but it was a very educational and fun experience at the same time, providing a good opportunity to test my navigation skills. The entrance and exit to the very shallow Newton river was also quite challenging and required some very fine maneuvering. The competitive spirit in us all came out during the dingy racing at Cowes and then on the pool table at the Anchor pub. Despite the name, the spirit on Wild Spirit was very chilled out and friendly. Of course that was the result of the really nice people that were on board. Phil, our instructor was great fun and relaxed but very confident and knowledgeable, always in control of the situation, even if he had to raise his voice in order to avoid potential disasters "do as I say!! ", "blast astern!! ", "hard to starboard!!" were words frequently coming out of his mouth. He had gone into considerable effort preparing meals for us - nothing like the stuff you usually get on these courses. Yvonne, immediately took on hostess duties and provided us with fine gourmet dining for the duration of the course. She was really helpful both over and under the deck and great fun to be with. Justin was chilled out and impressed us with his knot skills, doing one-handed bowline in seconds. No matter how many times he showed me I never got it right. He will be sailing off New Zealand in a borrowed catamaran! Lucky guy. John inspired confidence on the deck and very helpful guidance to all of us - he was also my drinking companion (when we were allowed to drink that is) and is the only policeman I have met who did not issue me some kind of penalty or warning. Caroline, the girl from Baldock with the distinctive laughter, provided us with non-stop entertainment and some fine helming. When she went quiet you just knew that something was wrong. Overall it was a fantastic experience and with the weather on our side it was very enjoyable. Only during the last day there was some rain so at the end of the course we ended up quite wet. I strongly recommend this boat for doing an RYA CC or DS course as you will have great fun along with the skills that you will gain. The website is here: http://www.wildspirit.co.uk/. They also offer cruising and racing opportunities.